PhotoIreland Festival has just announced Martin Parr’s selection of the 30 most influential photobooks of the last decade, which includes my monograph, We English. The full selection of books are now on show at the National Photographic Archive of Ireland until 14th August 2011 (extended from 31st July). PhotoIreland Festival have published a catalogue, which includes Martin Parr’s comments on each book, together with illustrations and ‘Author’s notes’. 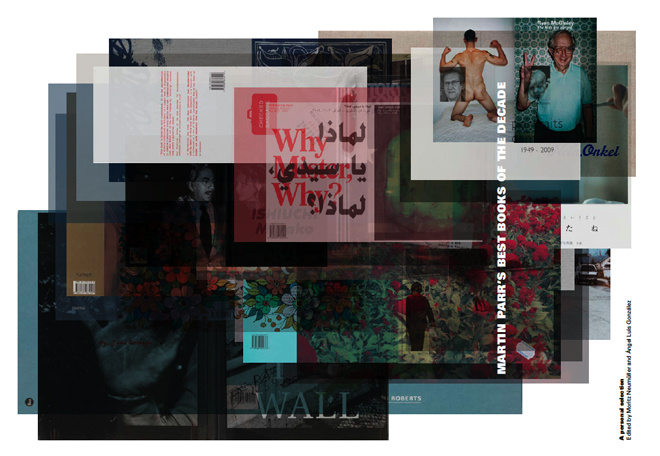 These are mostly unpublished texts by the photographers, publishers and curators of the works – personal statements on the process and raison d’être of each book. The catalogue is available for purchase online here. This entry was posted on Wednesday, August 3rd, 2011 at 11:14 am	and is filed under EXHIBITIONS, REVIEWS & PRESS. You can follow any responses to this entry through the RSS 2.0 feed. Both comments and pings are currently closed.